THE SITE AND THE INFORMATION ARE PROVIDED “AS IS.” COMPANY MAKES NO REPRESENTATION OR WARRANTY OF ANY KIND (INCLUDING REPRESENTATIONS OR WARRANTIES AS TO THE ACCURACY OR COMPLETENESS OF ANY INFORMATION CONTAINED OR REFERENCED ON THE SITE), EITHER EXPRESS OR IMPLIED, INCLUDING, BUT NOT LIMITED TO, THE IMPLIED WARRANTIES OF MERCHANTABILITY, FITNESS FOR A PARTICULAR PURPOSE, OR NON-INFRINGEMENT. COMPANY EXPRESSLY DISCLAIMS ANY OBLIGATION TO UPDATE SAID INFORMATION. COMPANY FURTHER ASSUMES NO LIABILITY OR RESPONSIBILITY FOR ANY ERRORS OR OMISSIONS IN THE CONTENT OF THE SITE. ALL USERS OF THE SITE AGREE THAT ACCESS TO AND THE CONTENTS THEREOF ARE AT THEIR OWN RISK. COMPANY DOES NOT WARRANT THAT THIS SITE OR ITS SERVERS ARE FREE FROM VIRUSES OR OTHER HARMFUL COMPONENTS. IN NO EVENT WILL COMPANY BE LIABLE TO ANY PARTY FOR ANY DIRECT, INDIRECT, INCIDENTAL, SPECIAL, CONSEQUENTIAL, OR PUNITIVE DAMAGES RESULTING FROM ANY USE OF, ACCESS OF OR INABILITY TO USE THIS WEBSITE, THE INFORMATION CONTAINED HEREIN, OR ANY OTHER HYPERLINKED OR REFERENCED WEBSITE, INCLUDING, WITHOUT LIMITATION, ANY LOST PROFITS, BUSINESS INTERRUPTION, LOSS OF PROGRAMS OR OTHER DATA ON YOUR INFORMATION HANDLING SYSTEM OR OTHERWISE, EVEN IF WE ARE EXPRESSLY ADVISED OF THE POSSIBILITY OF SUCH DAMAGES. The Information may contain technical inaccuracies or typographical errors. Company reserves the right to make changes, corrections, and/or improvements to the Information, and to the products and programs described in such Information, at any time without notice. Certain sections of the Site contain information about Company's products that are not available in all countries. Approved indications, dosages, restrictions and product presentations may vary from country to country where such products are sold. Information that Company publishes on the Internet may contain references or cross-references to Company products, programs, and services that are not announced or available in your country. Such references do not imply that Company intends to announce such products, programs, or services in your country. Company reserves the right to limit provision of our products and services to any person, geographic region or jurisdiction and/or to limit the quantities of any products or services we provide. Consult your local Company business contact for information regarding the products, programs and services that may be available to you. Any offer for any product or service made in the materials on this Site is void where prohibited. The Site may contain information related to medical conditions and their treatment. It is not the intention of Company to provide medical advice, diagnosis or treatment from the Site. You should not use the information contained on the Site to diagnose a health or fitness problem or disease. You should consult with your doctor, pharmacist, or other healthcare professional if you have any medical questions as only a healthcare professional can determine if a particular course of treatment is right for you. PLEASE CONSULT WITH YOUR DOCTOR, OR OTHER QUALIFIED HEALTHCARE PROFESSIONAL, BEFORE USING ANY PRODUCT DESCRIBED IN THE SITE. COMPANY IS NOT RESPONSIBLE FOR ANY INJURY OR LOSS WHICH MAY ARISE FROM RELIANCE ON INFORMATION CONTAINED ON THE SITE. The images and information contained in the Site are, to the fullest extent possible, copyrighted and otherwise proprietary. It is the policy of Company to enforce its intellectual property rights to the fullest extent of the law, including (where applicable) seeking criminal sanctions. Company hereby authorizes you to copy materials, documents or pages published by Company on the Site for your personal, non-commercial use only, provided that (i) any copy of these documents that you make retains all copyright and other proprietary notices and any disclaimer contained herein, (ii) you make no modifications to the materials, and (iii) you do not use the materials in a manner that suggests an association with any of Company's products or brands.  Any other reproduction, retransmission, modification or use of this Site's contents requires the prior written consent of Company. Each website to which the Site links remains subject to its own copyright notice. Except as expressly provided above, nothing contained herein shall be construed as conferring any license or right under any Company copyright. The trademarks, logos, and service marks (collectively the “Trademarks”) displayed on the Site, whether or not appearing in different type or with the trademark symbol, are registered and non-registered trademarks or service marks owned by or licensed to Company, its affiliates, subsidiaries or related companies. Nothing on this Site should be construed as granting, by implication, estoppels or otherwise, any license or right under any patent or the Trademarks. The use or misuse of the Trademarks or any other materials, except as permitted herein, is expressly prohibited and may be in violation of copyright law, trademark law, the law of slander and libel, the law of privacy and publicity, and communications regulations and statutes. The Site may contain links to non-Company websites and third-party information. Please note that the contents of such websites and such third-party information are not controlled or influenced by Company. Any such links or information are provided merely as a convenience, and Company shall not be liable for any use thereof by visitors to the Site. In addition, a link to a non-Company website does not mean that Company endorses or accepts any responsibility for the content of such website, or the consequences of your use thereof. Company reserves the right to alter or delete the content of the Site in any way, at any time, for any reason, without prior notification, and will not be liable in any way for possible consequences of such changes. Except as otherwise expressly permitted by Company, any access or attempt to access other areas of the Company computer system or other information contained on the system for any purpose is strictly prohibited. You agree that you will not use any robot, spider, other automatic or manual process or device to “screen scrape,” monitor, or “mine,” on the Site or the content contained therein without Company's express written permission. You will not spam any other user of the Site for any reason. You agree that you will not use any devices, software or routine to interfere or attempt to interfere with the proper working of the Site. You agree that you will not take any action that imposes an unreasonable or disproportionately large load on Company's infrastructure. You may not use framing techniques to enclose any Company trade mark, logo, trade name or other proprietary information, including images, frames, content, or layout/design found on any page of the Site without Company's express written consent.